“It takes stamina to climb,” said the Chinese tour guide, looking up into the eager faces of my ninth graders, American students from a private school in New England. 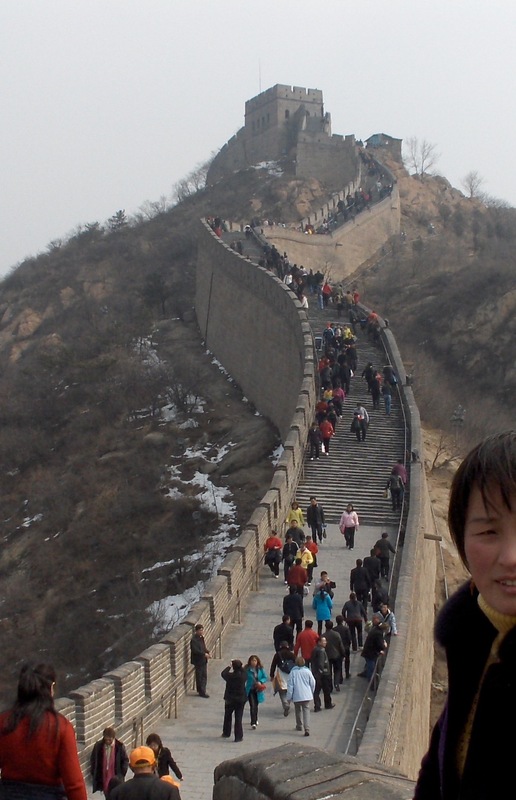 We were about to hike part of the Great Wall of China on a brisk March morning. Eighteen students,two guides, two teachers and me. The grumpy principal. “Big, strong boys will go the farthest,” said the second guide. Our three clowns – Roxy, Ted and Philip – started to guffaw and flip their crimson school caps into the air. In fact, they were probably the least athletic of all the students and the least competitive as well. A few girls grimaced at the guide’s sexist comment, then vowed to walk faster than any of the boys. Rival teams formed and the two teachers got caught up in the fun…. Thank you for participating in my writing contest! Next Next post: I could kiss this editor!